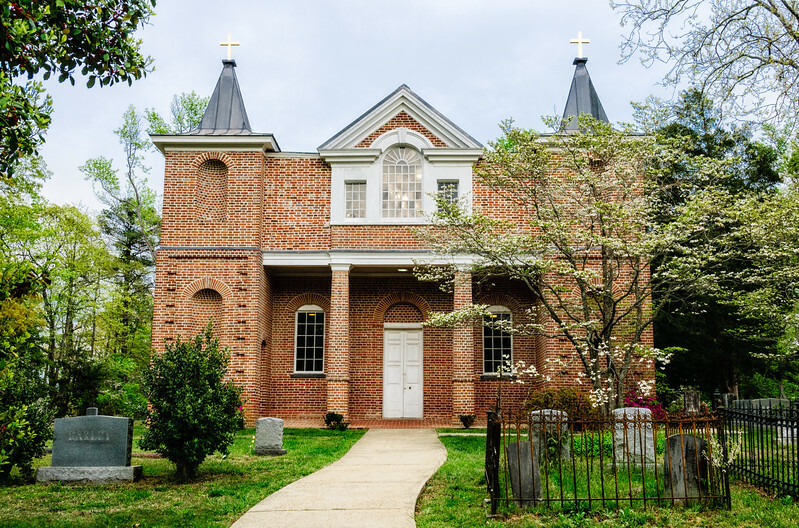 St. Andrew’s Parish was created from parts of the neighboring parishes by act of the Maryland Provincial Assembly in 1744. 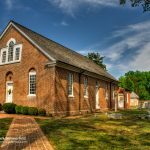 The parish church, Old St. Andrews Episcopal Church, Leonardtown was completed in 1767 and is an outstanding example of colonial architecture. 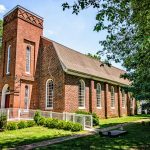 The church was designed by Richard Boulton, an indentured servant to Colonel George Plater, later Governor of Maryland, who owned nearby Sotterley manor and was one of the principal founding members of the parish. 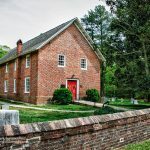 The brick exterior of the church has an unusual inset portico similar to Tudor Hall in nearby Leonardtown and a large palladian window which surmounts the portico. On either side of the portico is a massive brick tower, each incorporating two large niches intended to hold coats of arms. 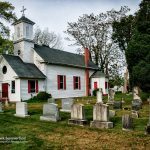 Click here for some more images of historic St. Mary’s County. Nicely composed Mark and excellent write-up. Well done. 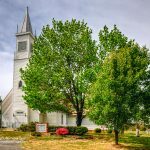 Lovely church. 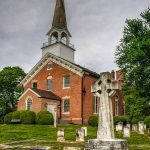 Looks more like a mansion than a church.. Nice work! Thats quite a unique looking church Mark. Great find.